Who said you have to choose between healthy and delicious? Every year on the first of January, a lot of us make a New Year’s resolution to eat healthier. And every year by the first of February, a lot of us have already broken it. 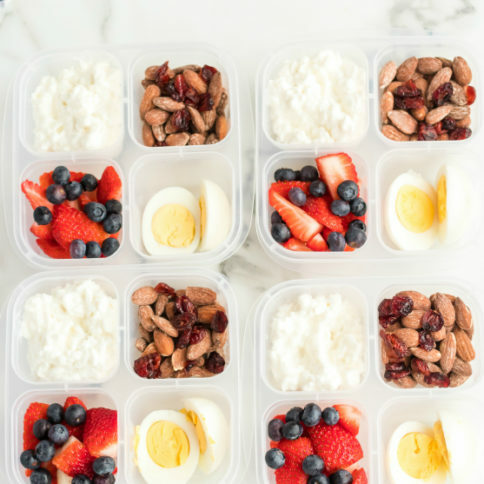 Because, let’s face it – when you have to choose between eating something healthy and eating something delicious, delicious will win every time. 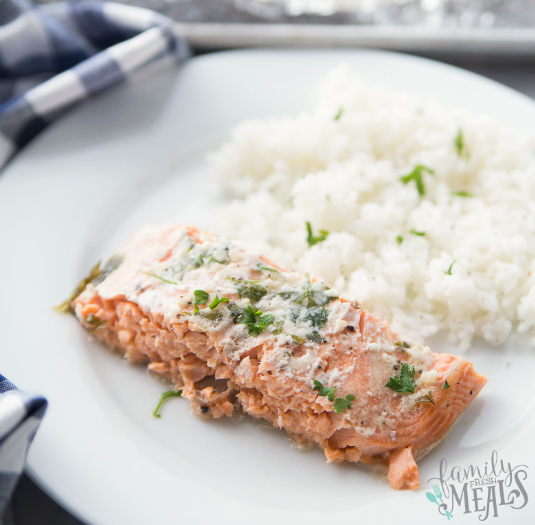 Thanks to this Easy Honey Baked Salmon, you can have your delicious and eat right too. 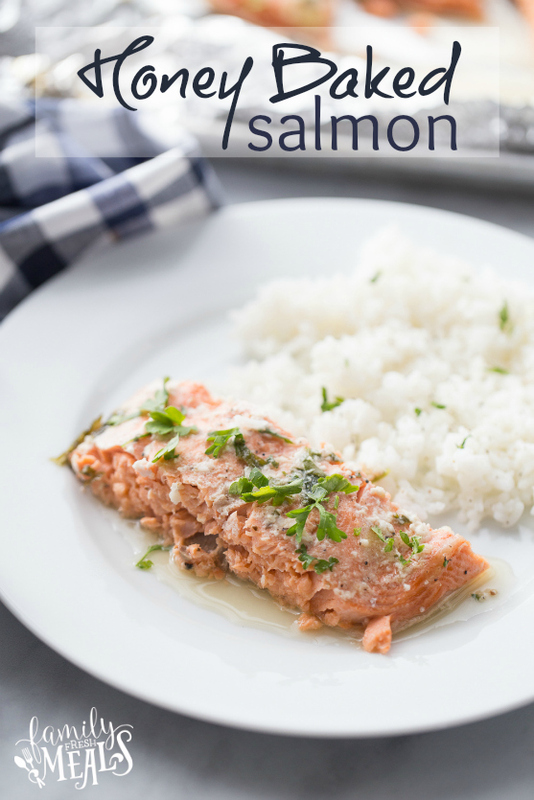 As we all know, salmon is full of protein and heart-healthy fats – but when you drench it in a scrumptious sauce full of honey, olive oil, and garlic, it’s also loaded with flavor. And with the help of a little aluminum foil, it’s easy to cook it to tender, flaky perfection in just 20 minutes. 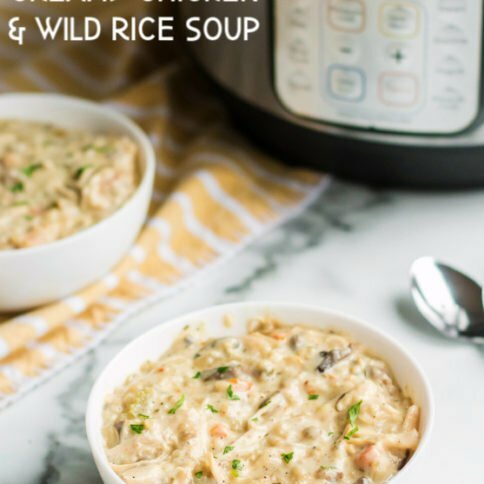 Serve this up with a nice green veggie and a starch – baked potato, rice, or maybe some nutty quinoa – and all of a sudden, that New Year’s resolution will start to look a lot easier to stick to. 1. Preheat oven to 375 degrees F. Line a baking sheet with foil. In a small bowl, whisk together honey, garlic, olive oil, white wine vinegar, parsley, salt and pepper, to taste. 2. 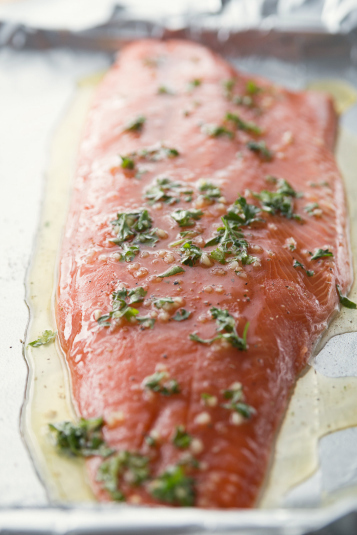 Place salmon onto prepared baking sheet. Pour the honey mixture over the salmon. 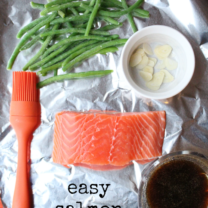 Fold the sides of the foil over the salmon, covering and sealing the foil packet closed. 3. 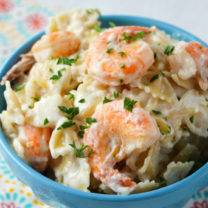 Place into oven and bake until cooked through, about 15-20 minutes. 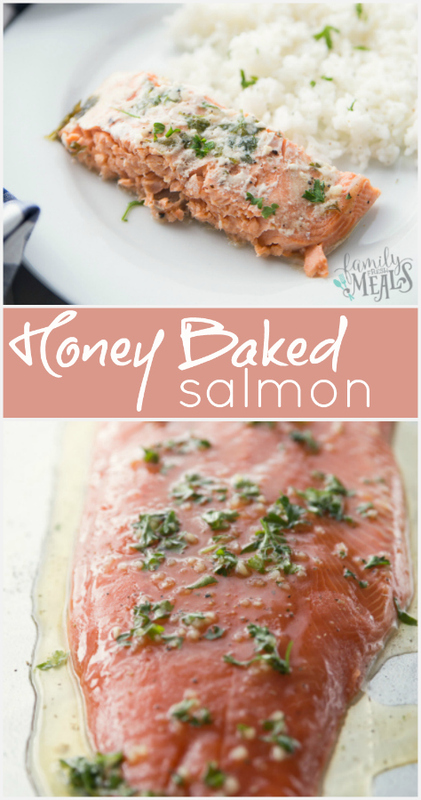 This Easy Honey Baked Salmon is delicious and healthy. 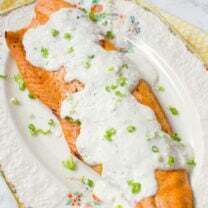 This salmon is full of protein and heart-healthy fats, and also loaded with flavor. Preheat oven to 375 degrees F. Line a baking sheet with foil. 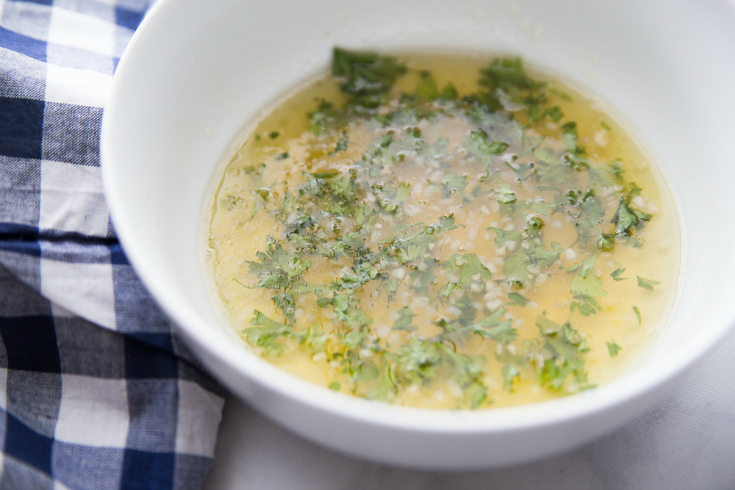 In a small bowl, whisk together honey, garlic, olive oil, white wine vinegar, parsley, salt and pepper, to taste. 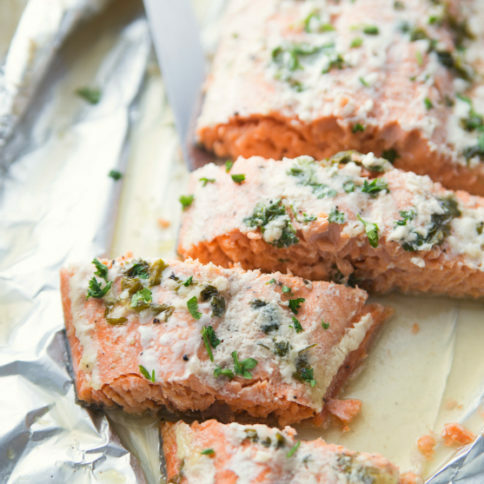 Place salmon onto prepared baking sheet. Pour the honey mixture over the salmon. 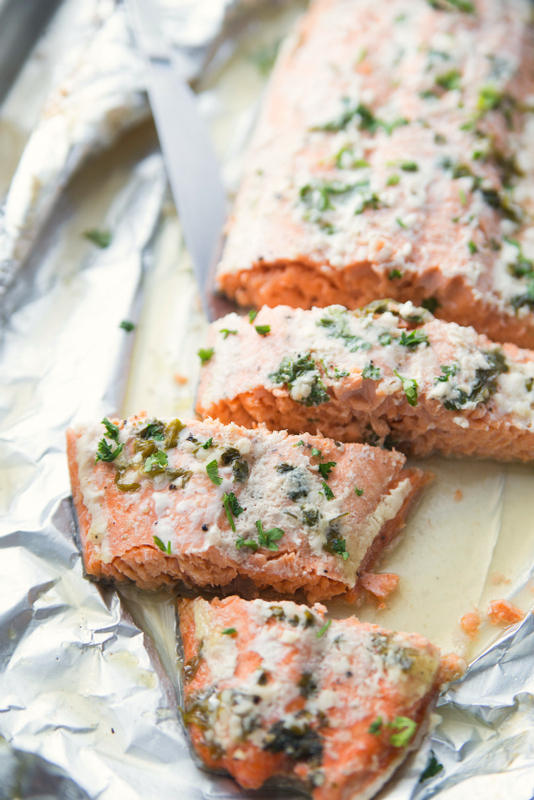 Fold the sides of the foil over the salmon, covering and sealing the foil packet closed.